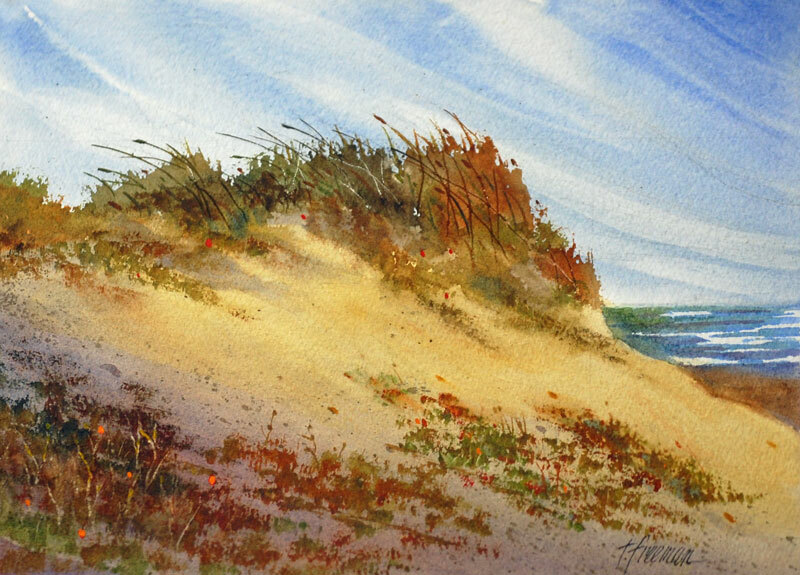 Thomas Freeman Original Watercolor Painting: "Windblown"
For many years I walked the Dunes on the eastern shore of Lake Michigan. It seems like the wind is always blowing and the clouds skidding across the sky. Lake Michigan is roiled so often and the shape of the Dunes continually change. This scene is as I remember it.